We hear from James Charles, who recently started volunteering for Turn2us, about his experience in giving up time to support our work. I knew about the work of Turn2us because, as a financial journalist, I’d seen some of its media campaigns and I was really interested in finding out a bit more. I wanted to volunteer with a charity working in the area of financial hardship, which is a cause that I really care about. How did you find the process of becoming a volunteer for Turn2us? I can work quite long hours and I’m not able to take substantial periods of time off to do volunteering. I found that Turn2us were quite flexible in terms of the commitment required from volunteers. Volunteer Visitors have a minimum requirement of four visits a year and the visits are an hour, so that felt like something that was much more achievable. Signing up was a very straightforward process. I completed the application form and then went to a one-day training session. It gave me some really valuable background about the charity, as well as what I would be doing as a volunteer. How did you find your first visit? My first visit was really great. I was shadowing a very experienced and knowledgeable existing volunteer on a visit to someone applying for a grant. She asked questions to better understand the applicant’s circumstances and make sure that they were asking for the right kind of support, while finding out if there was any additional help that they could access. She was very kind, warm and friendly. I came out of it feeling really inspired. It reinforced the fact that the work of the charity is so important and can make a substantial difference to the lives of individuals. I find it very rewarding. It's great to be able to offer your time and personal resource to help a charity. Charities are finding it harder to provide services in the community and if volunteers can support the work that they do, that must be a positive thing. Employers see a real value in their staff volunteering too, as it shows that staff are engaged in a broad range of activities beyond purely their work, which I think is healthy. I also think employers are increasingly aware that there are lots of indirect benefits to them because they might be able to bring back new levels of understanding for their work. What advice would you give someone thinking about volunteering? It’s easy to think that you won’t have time and that fitting volunteering around your life is going to be difficult. But if it’s something that you are interested in doing, you shouldn’t assume that you won’t have time to do it. 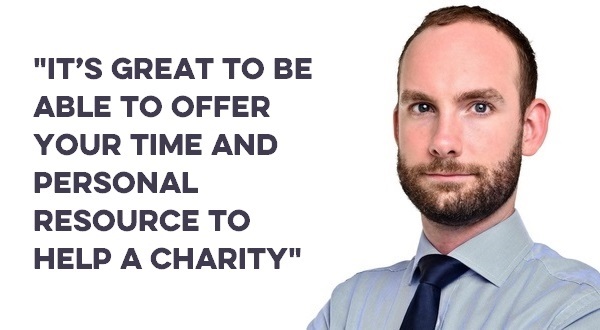 A lot of charities are willing to be flexible about how you can volunteer, as are employers. Give it a go! Find out more about volunteering for Turn2us. Previous How much does a child cost?